Does the CSGA Need a New Membership Model? 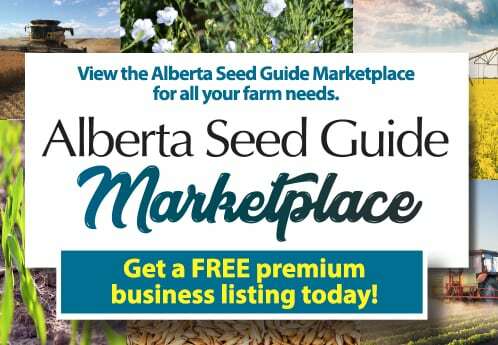 It’s common knowledge that the Canadian Seed Growers Association has 3,500 members. But is that really the case? It might not be. 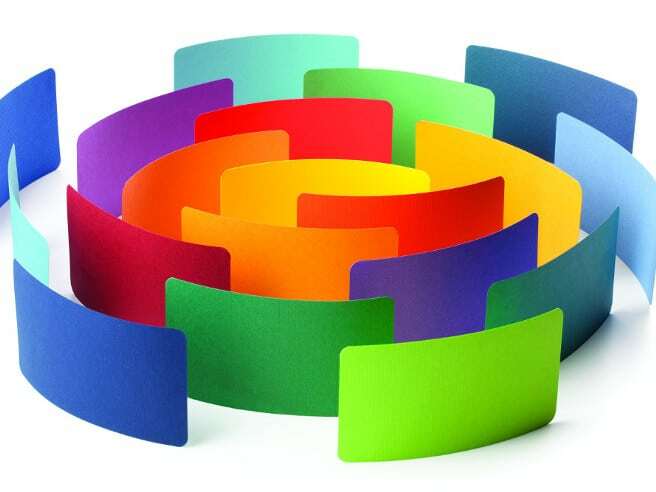 The Canadian Seed Growers Association (CSGA) is looking at the possibility of dramatically changing its membership structure in order to prepare for the formation of a new seed entity as outlined by the Seed Synergy Collaboration Project proposal. 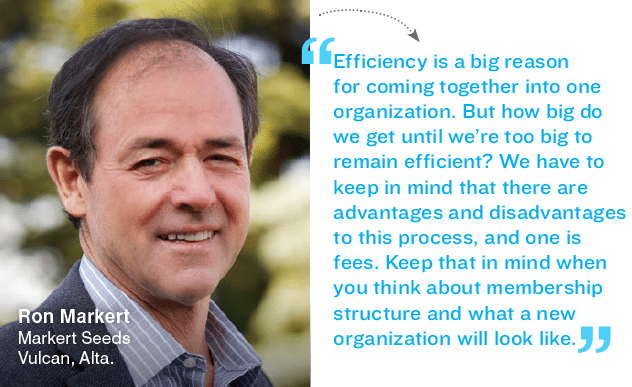 “In a new organization you’re trying to bring together groups that all have a different basis for membership. 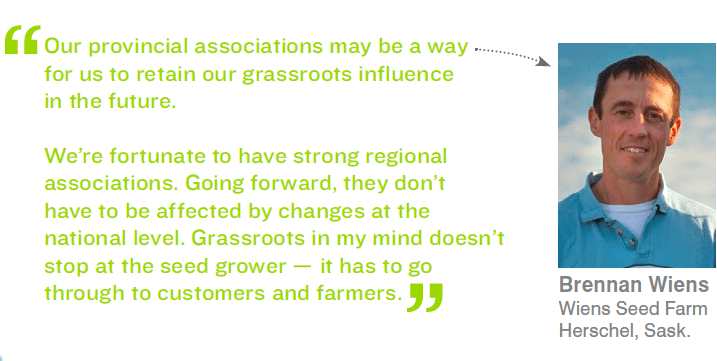 It’s not a business-as-usual proposal,” says CSGA executive director Glyn Chancey, who spoke about the idea at the Saskatchewan Seed Growers Association annual meeting in Saskatoon in January. The Seed Synergy white paper, unveiled to members late last year, proposes to create a more efficient and effective seed industry organizational model to deliver seed certification services under a “modernized seed regulatory framework” by creating and implementing a single, consolidated national seed organization. Currently, CSGA has over 3,500 official members. That number is composed of both individual seed growers and seed companies — 2,500 of its “members” are actually seed businesses and not individual people. “In many cases those farms have three or more people working on the farm who all have to have a membership to be recognized,” Chancey says. As a result, he says CSGA is looking to build a core sustaining membership class to focus more on businesses. 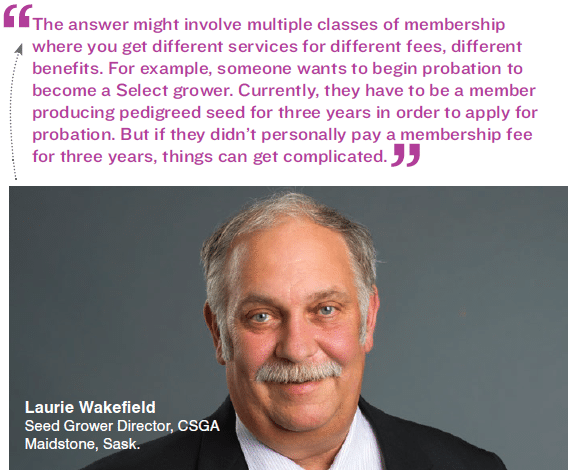 Laurie Wakefield, one of the SSGA’s representatives on the CSGA national board, says CSGA has had issues surrounding membership for a while. 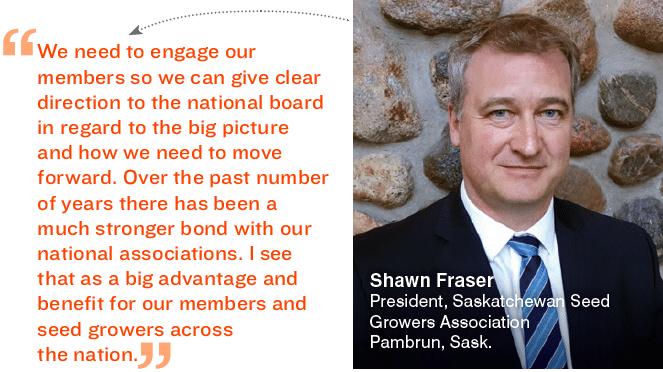 He says now is the time for CSGA to create the ideal membership structure so that seed growers are best served by their national association. “We’ve had discussion that our membership could be as high as 8,000. We just don’t know. A single farm unit might have six actual people involved in production of seed. It’s time to explore who the clients are we’re providing services for and who we’re doing advocacy for,” Wakefield says.